Long-awaited vMix integration is here! You can now also make word replacements for frequently misunderstood words or phrases, use a built-in profanity filter, and check out a new Help Center with tips and answers to frequently asked questions. WeStreamU brought Web Captioner to a seminar at the Swedish Standards Institute focused on accessibility standards in September. The idea to try out Web Captioner for this event originated with WeStreamU founder Richard Gatarski. Richard has been a huge help to me in testing and providing feedback on vMix integration and potential language translation in Web Captioner. 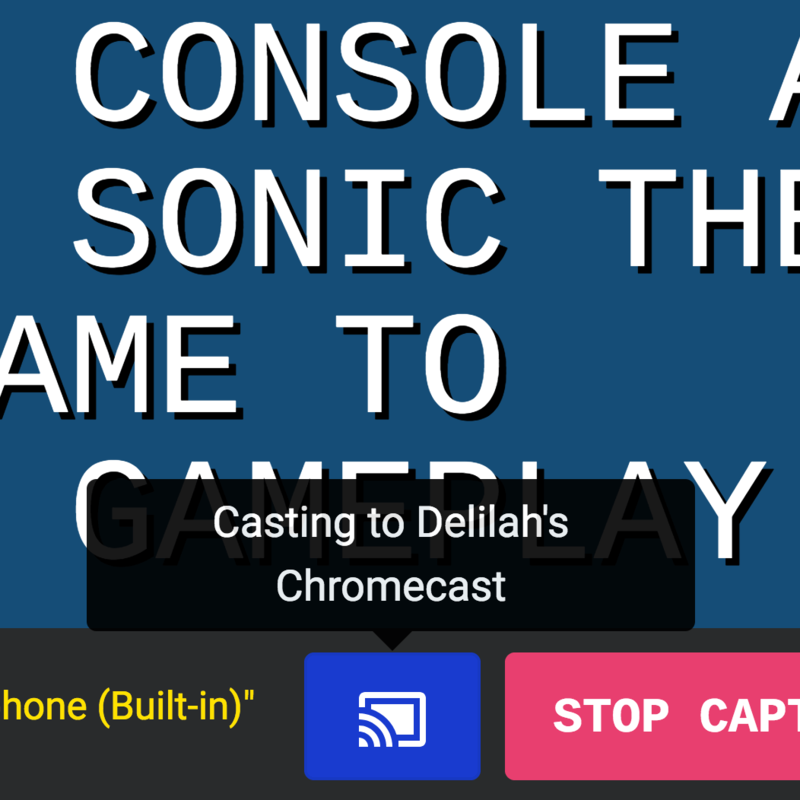 He wrote an excellent article detailing WeStreamU's involvement in trying out an automatic captioning solution for this event. Richard also made a five-minute presentation about Web Captioner (in Swedish) at the seminar. 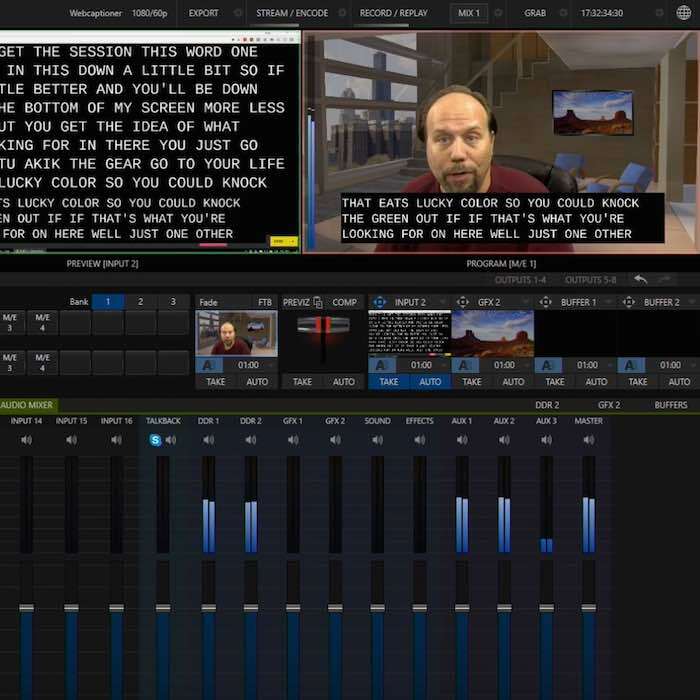 You can now feed live captions right into vMix, a popular software video mixer and switcher. Web Captioner’s integration with vMix uses vMix’s HTTP web controller API. Web Captioner sends commands to an instance of vMix reachable over your network (or running on the same computer as vMix), and those commands update a special title template provided to you in the setup instructions. 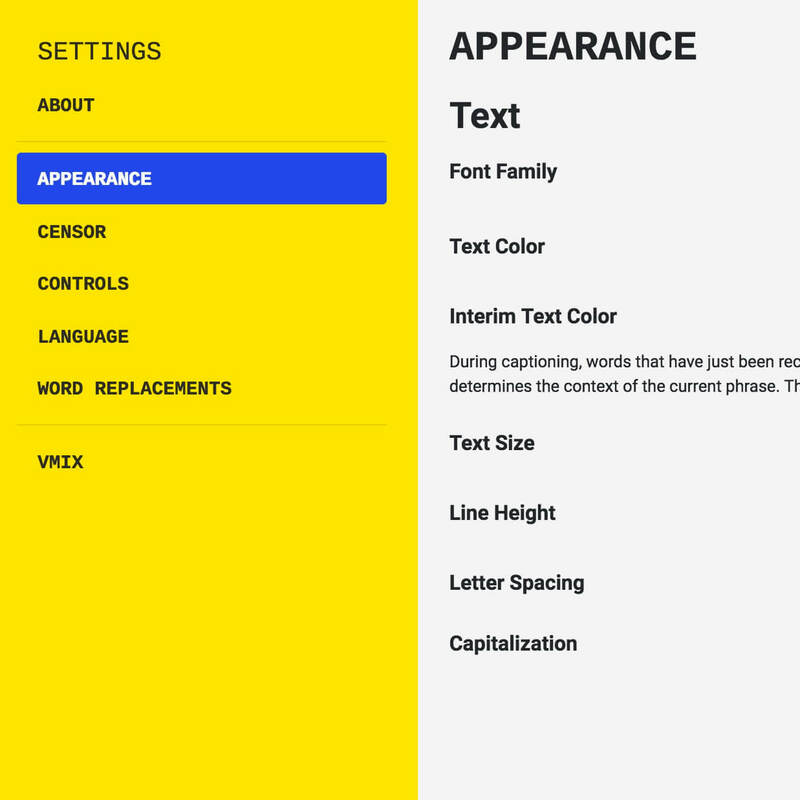 In addition to it being less resource-intensive than screen capture, this new solution might be more convenient in some situations: you no longer need to keep Web Captioner running in the foreground, and you have more control over the style of text through vMix’s own interface. If you prefer to use screen capture you can still absolutely do that. This Help Center article on vMix integration explains how to get started with either method. Web Captioner on the left, vMix on the right. Word replacements let you change words or phrases that Web Captioner may frequently mishear, fix uncommon spellings (like Kurt to Curt), or hide certain words altogether. Go to the main menu and select Word Replacements to add your own. Previously, we relied on the Web Speech API to censor out profanity. It would catch some bad language, but not all of it. Now for US English, an extensive list of over 300 profane words and phrases is filtered out during captioning. This is enabled by default but can be disabled in the Word Replacements screen. I’ve added a new Help Center to collect answers to common questions people ask about Web Captioner. You can read about some audio troubleshooting steps, a brief explanation of what equipment you might need to run Web Captioner, information about the Web Speech API, recording audio in Audacity, or help using the new vMix integration. As always, if you have questions, you can message Web Captioner on Facebook or check out the Web Captioner community. Web Captioner is developed in my free time alongside my main job in web development. I am very passionate about this service and love seeing the problems it is solving — both in my own community and broadly around the world. Today, I’m committed to keeping all the features Web Captioner currently has free. You’re welcome to make a Value-for-Value donation in support of Web Captioner and help offset the costs of hosting, domain registration, and time spent in development. A Value-for-Value donation is an invitation to donate an amount equivalent to what Web Captioner is worth to you and shows me that there is interest in this product. The Help Center answers some commonly asked questions about Web Captioner. The Web Captioner Users Group on Facebook is also a great place to get help with Web Captioner and see how others are using it. Like Web Captioner on Facebook to be notified of new updates and upcoming features. If you’ve got an idea for something you’d like to see Web Captioner do, let’s hear about it!